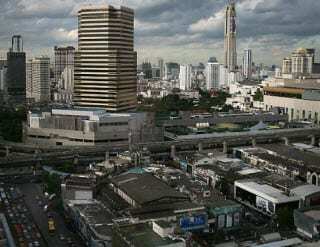 Fitch Ratings has released its predictions for the growth of the sector in Thailand’s marketplace. According to data from Fitch Ratings, next year, the life insurance sector in Thailand should be seeing steady growth in its premiums. This is supported by the growing affluence among its residence and the increased product awareness. The recent catastrophes that have been faced by the people of Thailand have made them more aware of the availability and importance of life insurance coverage. This was published in the research firm’s “2013 Outlook: Thai Life Insurance Sector – Steady Growth Supported by Rising Protection Awareness”. The life insurance company rating outlook should remain stable for the next year to two years. The report stated that the sector will be strongly supported by the growth in premiums, as well as hefty capitalization with zero leverage, and an investment mix that is on the conservative side. Furthermore, the profitability of the life insurance companies in the country remained unharmed by the flooding last year because the casualty numbers remained very low. This left very few life insurance claims behind that were related to the flood. Furthermore, at that time, there was only a very low penetration among the residents of Thailand. There were only 25 percent of people who actually had policies. That said, since then there has been significant growth. Year over year, the life insurance sector increased by 17.52 percent over the first seven months of 2012. The premiums brought in from the policies came to Bt212.4 billion. The penetration of life insurance in the country has now reached 2.7 percent of its gross domestic product. Though this is still considered quite low in comparison with other countries in Asia, it has shown a notable growth. Moreover, it also indicates that there is still growth potential for the near future. In Singapore, life insurance represents 4.3 percent of the gross domestic product, while it represents 3.3 percent in Malaysia. In Thailand, the sector has been making a considerable push, using multiple distribution channels to reach the population and create a sustainable premium income source, said the Fitch report.